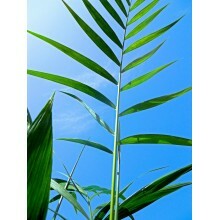 Palms There are 33 products. 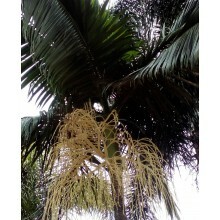 The palm family, Arecaceae or Palmae, includes about 2.400 species, native to warm climates of the world, ranging from delicate tropical species to cold hardy palms. 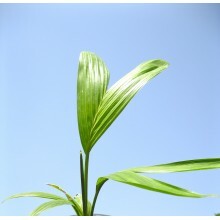 Some palms can be planted outdoors in Central Europe and stand hard freezes, well below -10 ºC (14 F). 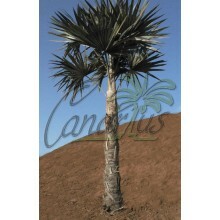 Those who live in Mediterranean countries can grow a larger number of species outdoors. 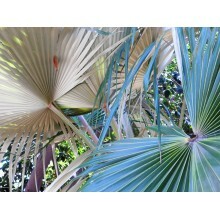 Some growers in coastal Southern Europe are now raising outdoor collections of palms containing more than 100 species. 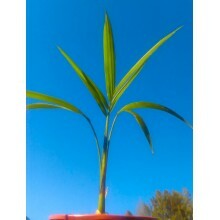 Canarius will only ship robust palms, grown in small pots to reduce shipping costs and handling problems. 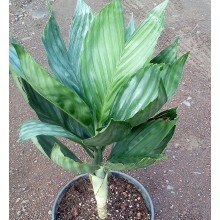 So transplant them to larger pots shortly after you receive the package. 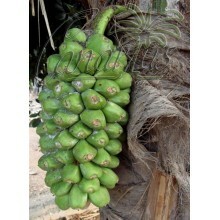 Be prepared to give them the best. 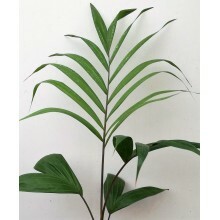 Some palms can take snow, some can live indoors or in pots, and some are very tropical. 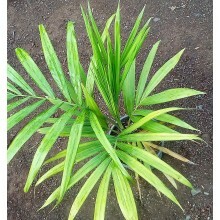 Just choose one that can thrive in your conditions. 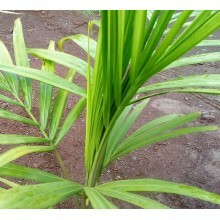 What palms can grow in your area? 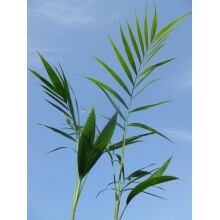 Read our list of Cold Resistant Palms for Europe. 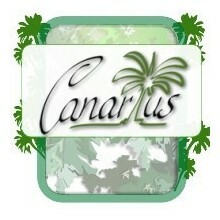 Visit Canarius blog and learn more about our palms. 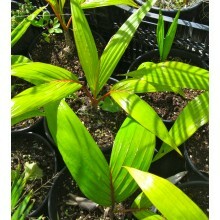 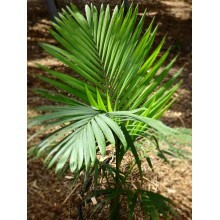 You will see pictures from the nurseries: different types of New Zealand Palms, Bottle Palms with superior root quality. 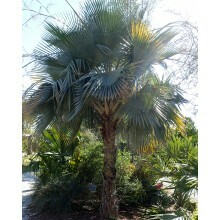 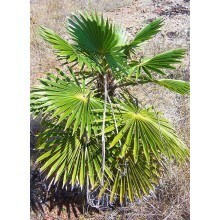 This mid sized palm is popular in tropical gardens throughout the world. 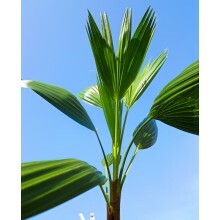 Uncommon cool-growing palm from high-elevations of Central America. 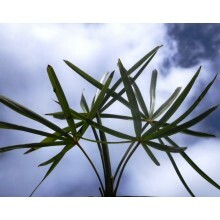 It has a clustering bamboo-like habit. 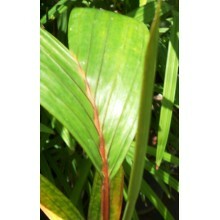 Leaves are lush and attractive. 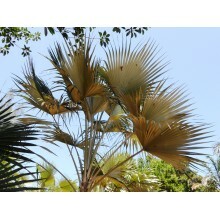 A gem for collectors. 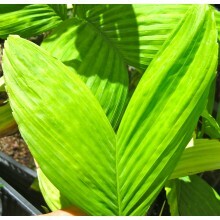 As many other chamaedoreas it is a good houseplant. 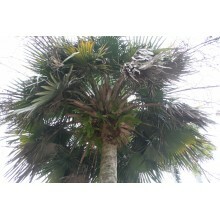 Clumping, cool-growing palm to 4 m in height. 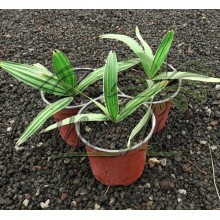 It is found in the rainforest of Veracruz, in Mexico at an elevation of 1000-1500 m.It is hardy to light, short frost and can thrive outdoors in the warmer coastal areas of the Mediterranean. 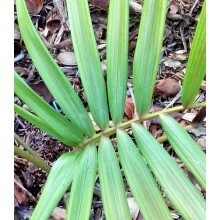 This easy and beautiful palm is endemic to the Cayman Islands. 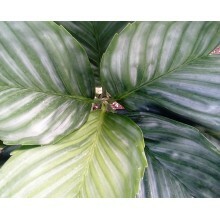 Leaves are pure silver underneath. 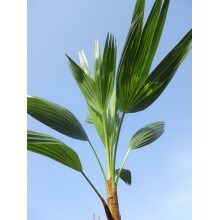 It grows very well in coastal conditions. 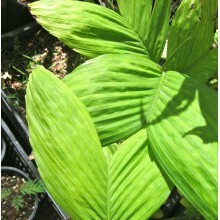 It also takes some cold too but it is very slow in cool areas. 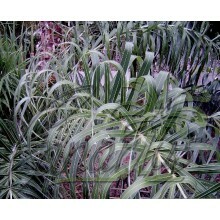 Copernicia is a palm which is endemic to Cuba.The fan-shaped leaves are 1.5 to 2 m wide and are wedge-shaped circular. 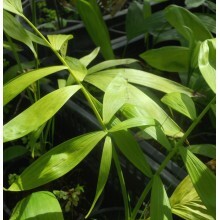 They are divided into many rigid segments. 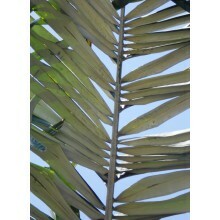 The ends of the segments are slightly hanging.